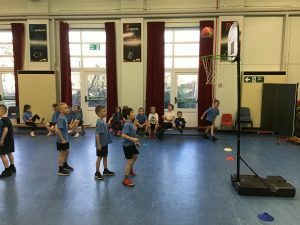 Y2LR Basketball with Coach C! 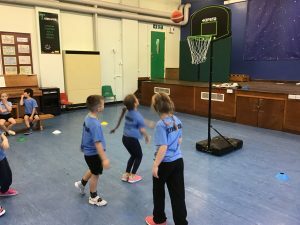 Today Coach C told us that we were going to be playing proper games of Basketball because we had been doing so well in our training. 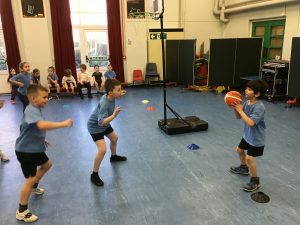 Coach C split us in to teams and we played against each other to score baskets. 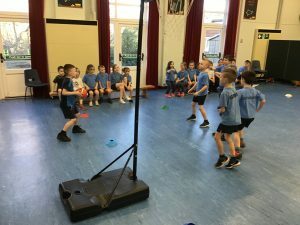 We worked very hard. 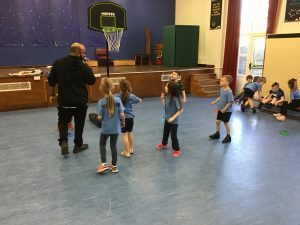 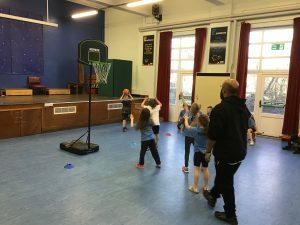 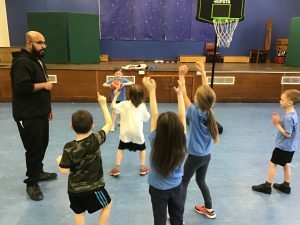 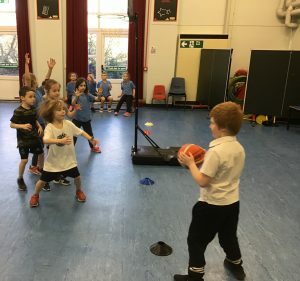 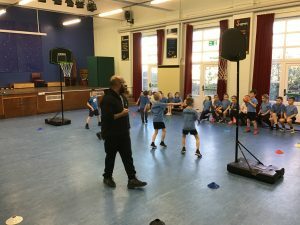 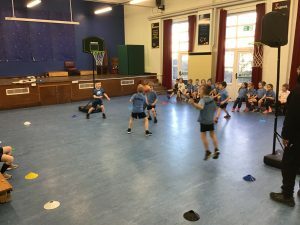 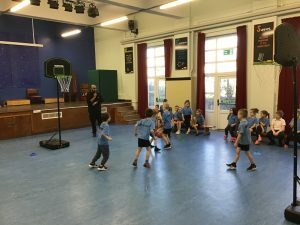 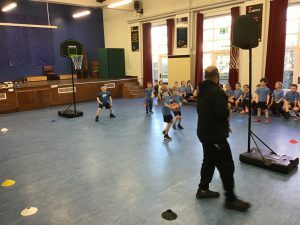 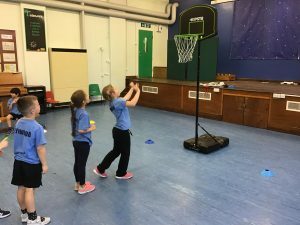 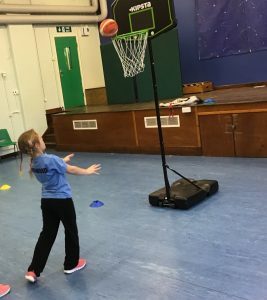 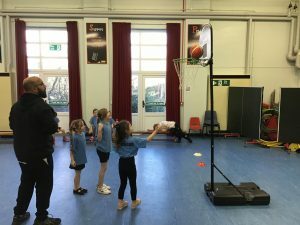 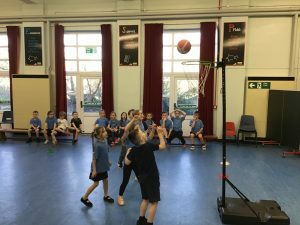 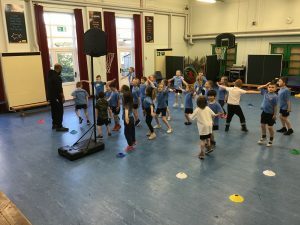 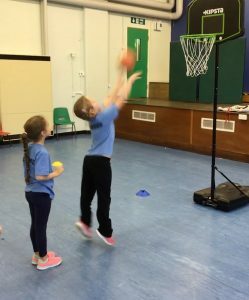 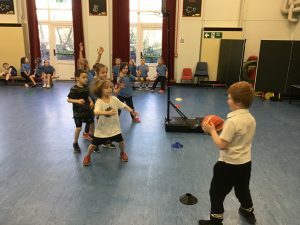 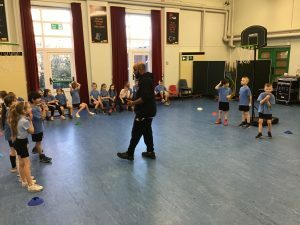 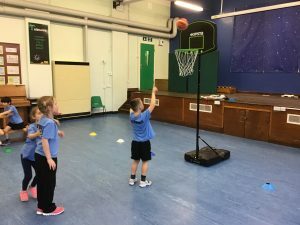 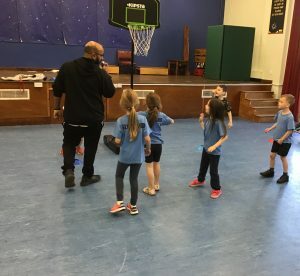 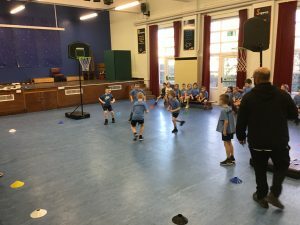 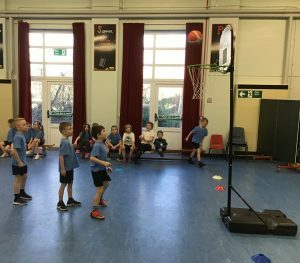 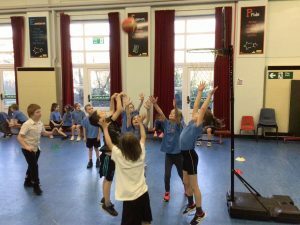 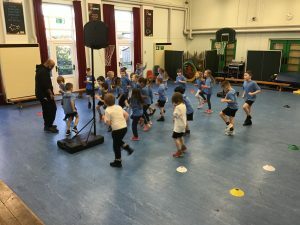 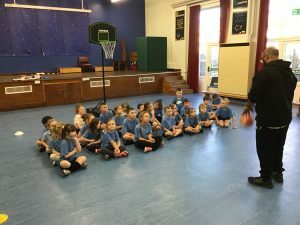 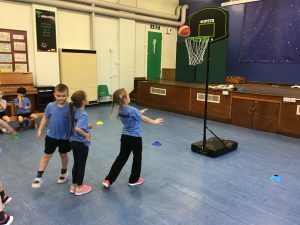 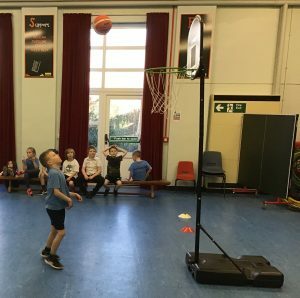 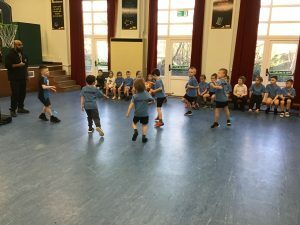 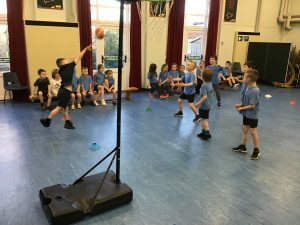 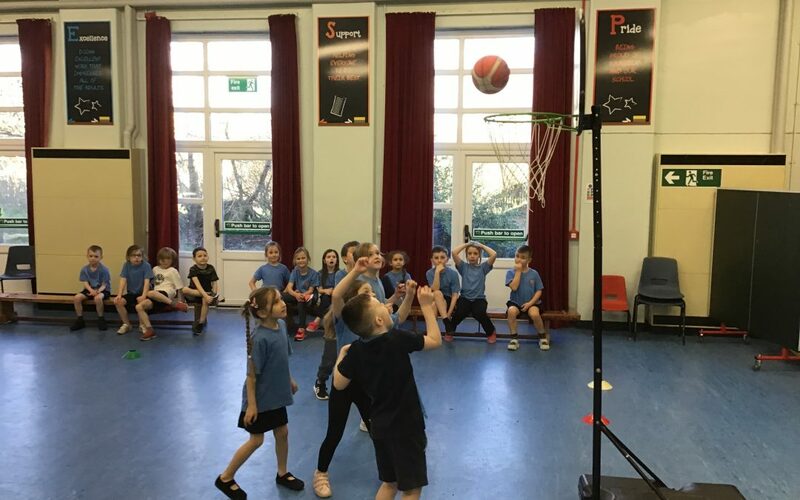 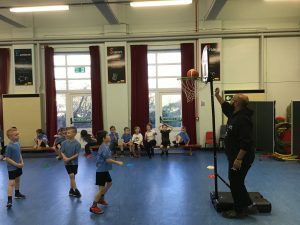 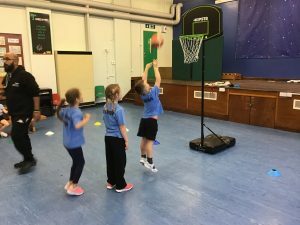 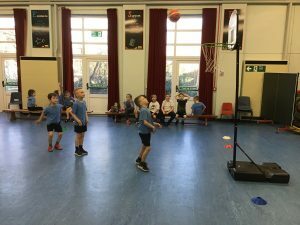 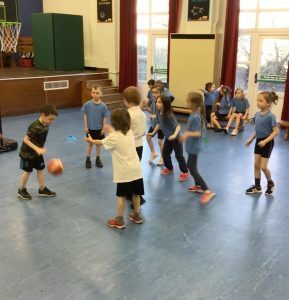 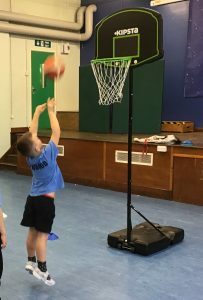 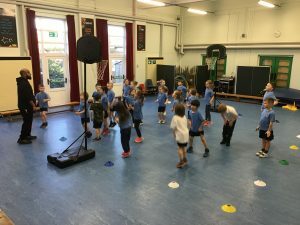 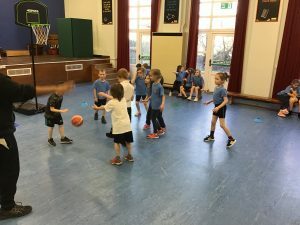 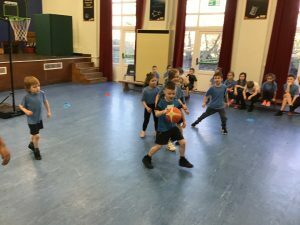 We had to think about our foot work, dribbling technique, spatial awareness and team work so that we could score baskets.